Despite the storms in the past few weeks in the UK, Spring feels as though it’s just around the corner. It might just be time to open the windows, revel in the early sun and refresh your work environment. An article on hrdive.com looking at colour theory in office design supports this, with green described as calming and relaxing. You can wheel our ThinkingWall Freestander anywhere – take your meeting outside! You don’t have to get the paintbrushes out and re-do a full wall. 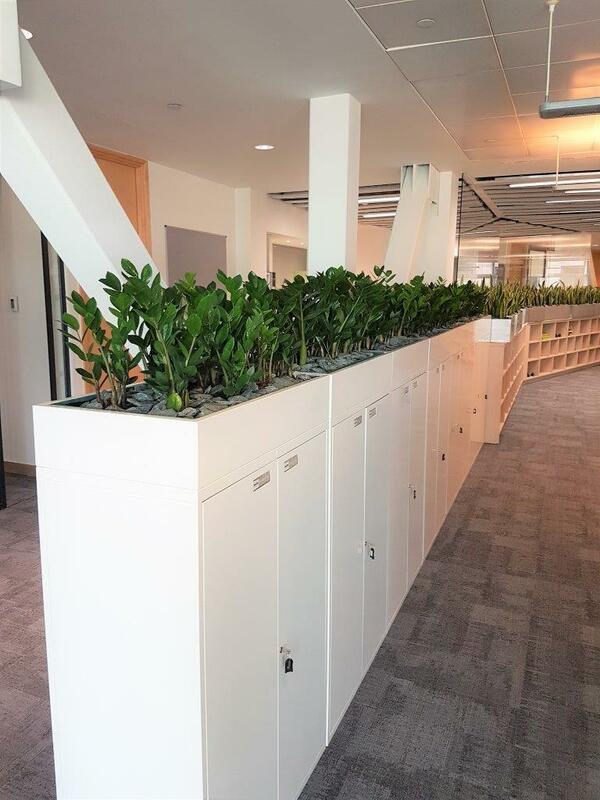 It’s easy to add some touches of green colour, like these end panels on our ThinkingWall Divider. This brings some colour to an otherwise neutral toned office. At the same time it isn’t distracting when the whiteboard is in use, as the writing surface is plain. Or how about these Magnote magnetic notes, for use on any magnetic receptive surface and available in packs of all green or mixed colours? We can make custom shaped magnets too, like these green stars. Coloured dry wipe boards can have some advantages over standard white. Not only can they contribute to a brighter, fresher colour palette but they also help create a more inclusive work environment. Studies suggest that coloured surfaces rather than white can help people with visual perceptual distortion. Office interior specialists such as Vantage Spaces use plants at different heights built into their overall design. This allows them to become part of the overall floorspace without being obtrusive. 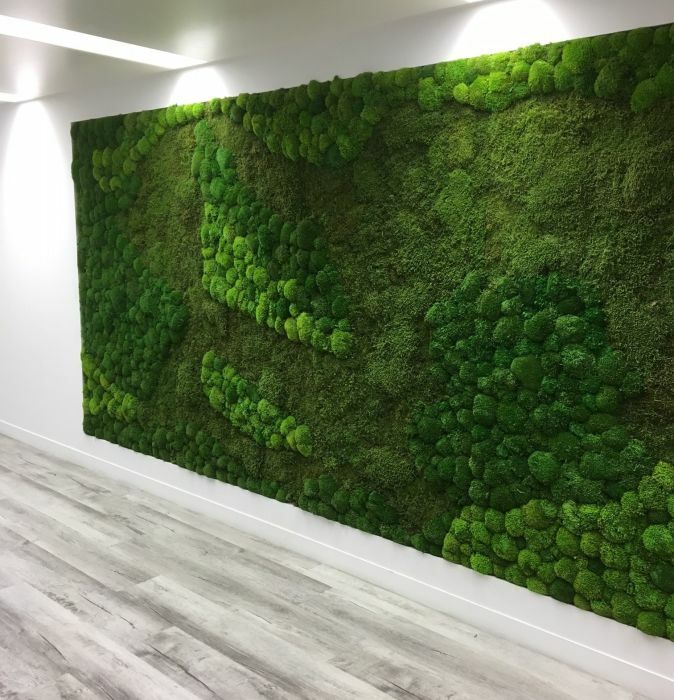 Moss walls such as this one by Office Reality are low maintenance and have a natural ability to absorb sound. A moss panel would make a great alternative to the standard acoustic material in our ThinkingWall mobile acoustic whiteboard as well as adding colour. You can even incorporate fresh ‘green’ sounds by running one of many nature sound videos in a breakout space. We recently completed a project that combined a whiteboard room divider with a TV unit, perfect for providing screened private area that can also double as a casual meeting spot. Previous post: Are whiteboards magnetic?